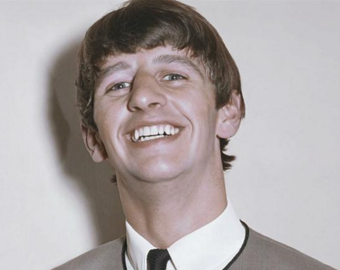 Richard Starkey, MBE, better known by his stage name Ringo Starr, is an English drummer, singer, songwriter, and actor who gained worldwide fame as the drummer for the Beatles. On most of the band's albums, he sang lead vocals for one song, including "With a Little Help from My Friends", "Yellow Submarine" and their cover of "Act Naturally". He also wrote the Beatles' songs "Don't Pass Me By" and "Octopus's Garden", and is credited as a co-writer of others, such as "What Goes On" and "Flying".